Comments: This succulent is sometimes used as an annual in colder regions of the country. It makes an excellent container or hanging basket plant because of the growwh that cascades over the edges of a container or planter. 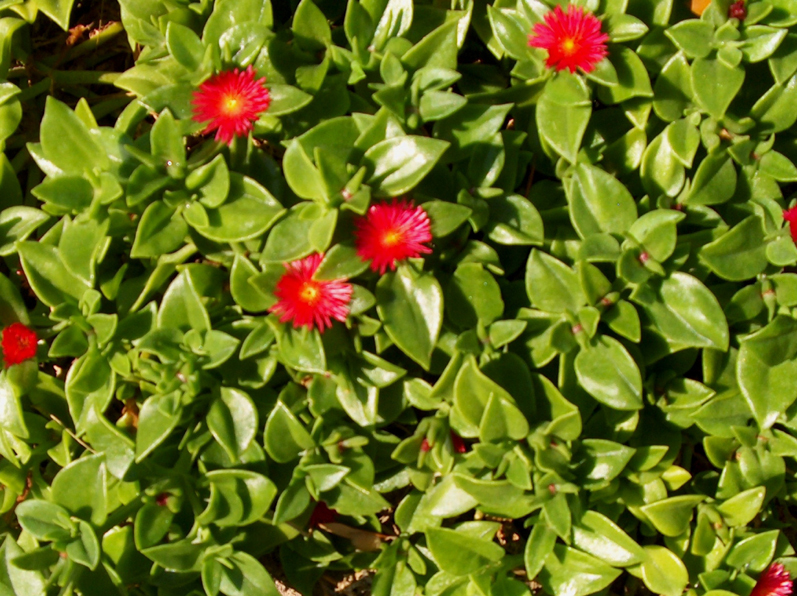 The red, daisy-like flowers are quite showy beginning in spring and blooming into the fall. This plant cannot tolerate wet soils. Plant in a well drained soil preferably in a raised bed. Keep the soil only slightly moist. Can tolerate hot sunny planting beds very well, if watered during dry periods in heat of summer. Hardy to 23 degrees F. and has survived three winters along the Gulf Coast.